The new taxation system – GST (Goods and Services Tax) has shaken the whole country and the automobile industry hasn’t remained unaffected. 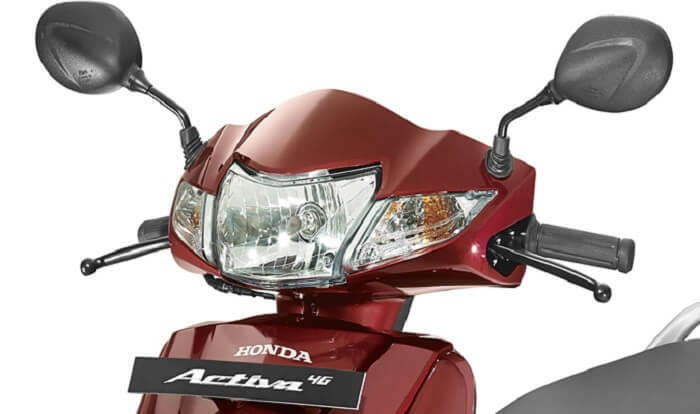 While Royal Enfield, Hero, Bajaj and KTM had announced new prices of their products prior to 1st July, Honda 2Wheelers India has now revealed prices its top selling automatic scooter – Activa. Post GST, the entry-level Honda Activa i and Activa 4G cost Rs 48,059 and Rs 50,846 respectively. The prices of the Honda Activa 125 range between Rs 57,001 (for the base model) and Rs 58,926 (for the mid variant). All aforementioned prices are ex-showroom Delhi. Honda updated its Activa lineup as per the BS4 norms in February 2017. The Honda Activa 4G 2017 model comes with the mandatory Automatic Headlamp On (AHO) function, a BS4 compliant engine and a few updates. For 2017 model year, the Activa receives a BS4 complaint powertain benefited with the Honda Eco Technology (HET). While the 109cc motor remains the same, albeit it has been calibrated to meet the BS IV emission norms. Though, the power and torque figures remain unchanged. This engine produces power worth 8bhp at 7,500rpm against 8.83Nm of torque at 5,500rpm. Power is delivered to the wheels via a CVT gearbox. With the same power source, the 2017 Honda Activa 4G delivers fuel economy equivalent to the old model. The scooter’s new BS4 version returns an impressive mileage of 60kmpl. The new-generation Activa 4G model lineup is now available in a total of five colour options, including the two new shades. The line-up can be availed in Pearl Amazing White, Black, Trance Blue, Geny Grey Metallic and Lusty Red Metallic. Ever since its introduction in 2001, Honda has been dominating the automatic scooter segment in India. In its first year alone, the Activa recored 55,000 units’ sale which propelled to 10 lakh in 2012-2013 fiscal year. The scooter recently achieved a milestone of 1.5 crore units, a first ever by a scooter in the gearless segment. 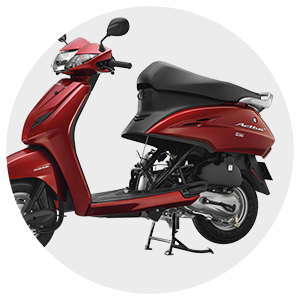 Maintaining its reign over the years, Activa is also available in 125cc and goes against contemporary models including TVS Jupiter, Hero Maestro, Mahindra Gusto and TVS Wego. Cosmetic updates are minimal on the 2017 Honda Activa 4G. The overall design and dimension remain unchanged. Though, the scooter looks refreshing with a new dynamic centre cover design up front. It gets mobile charging socket that enables charging phone while on the go. This feature is now available with most of the high selling models. The new Automatic Headlamp On (AHO) feature provides better visibility. Additionally, the scooter gets Combi Brake System (CBS) that not only balances the scooter but improves ride quality as well.